Rhona Auckland’s emerging career in athletics thus far has already featured some stirring highlights, including becoming the youngest woman to win the National XC in 2014, claiming the Euro Cross U23 title and impressing in the Senior Women’s race at the World Cross. But the Edinburgh University student arguably topped those performances with a remarkable last lap win in the Highgate Night of the 10ks to take 10,000m track gold at the British Champs. Auckland won in 32.28.32 from Jess Coulson – who had held a lead of up to 80m with a couple of laps remaining – and in doing so stripped more than 40 seconds from her PB. 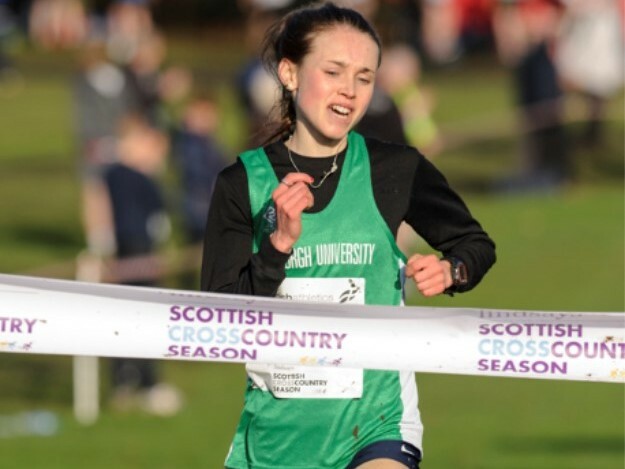 It lifts Rhona to fifth in the Scottish all-time list (only Liz McColgan-Nuttall, Kathy Butler, Yvonne Murray and Freya Ross have run it faster) and stamped her passport for the Euro U23s in Tallinn, Estonia, later this summer where GB are looking for the potential for a top five finish. It was also only 13 seconds adrift of a British Athletics qualifying standard for the Olympics in Rio next year. Inverclyde AC’s Jonny Glen also came up with a fine run to clock 30.34 but agonisingly that’s four seconds short of the GB qualifying standard for the Euro U20s. It is not clear yet what Jonny’s next move may be, with a few weeks left until the close of the qualifying window. The 5000m at the England Athletics Age Group Champs could yet be an option. To put the performance into perspective, it was a third-best Scottish U20 run for 10,000m on the track. Sean Fontana of VP-Glasgow was Scotland’s best in the men’s A race – again coming up with an excellent time of 29.16.93 to finish eighth. 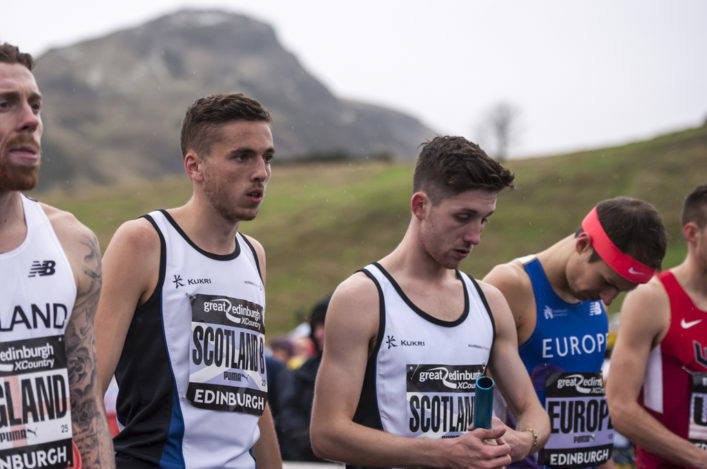 There’s a strong chance now of Auckland being offered selection for a European Cup 10,000m event in a couple of weeks, but it seems the Banchory Stonehaven athlete sees the Euro U23s as the priority. ‘British Athletics are talking about athletes having the potential to finish top five at that event and while I am not certain, I would imagine the Highgate run would put Rhona in the top three in the rankings in Europe at U23. ‘It was a great race for her as she broke away with Jess Coulson and Aly Dixon. I thought for a long spell it was the most comfortable that she has looked in that kind of company and in a track race of that distance. ‘Of course Jess had a pretty big lead towards the end but somehow Rhona sensed she could claw it back and she is one of those people who just refuses to accept a situation. She has so much determination and guts and she showed that in the last 600m with that comeback. 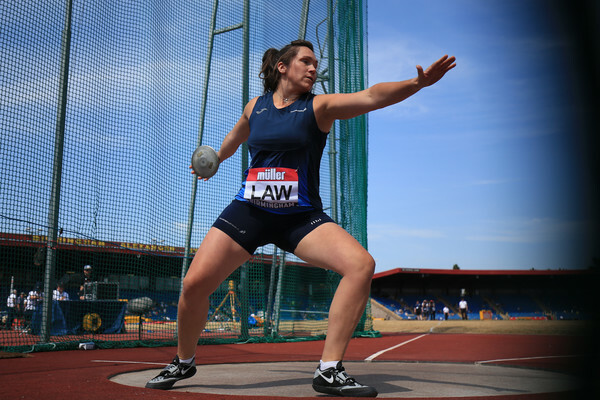 ‘It is a British title gold medal for her after bronze at Highgate last year so again that is demonstrating progress. She doesn’t get over-excited but she is very pleased with that time. Susan Partridge was seventh in the women’s race with 34.12.57 and Inverclyde’s Craig Ruddy was 19th in the men’s A race at 30.08.12.